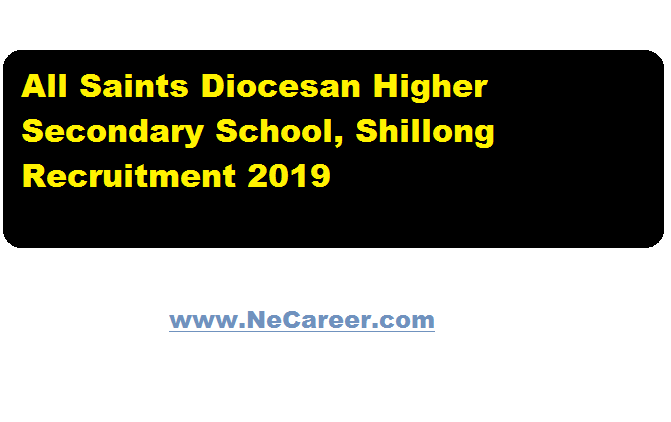 All Saints Diocesan Higher Secondary School, Shillong Meghalaya Recruitment 2019 January :- Welcome Job aspirants. We are back with a teaching job in Shillong in 2019.All Saints Diocesan Higher Secondary School, located in Shillong has issued a job notification recently. 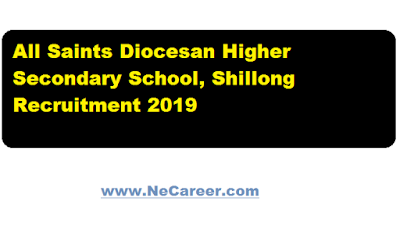 All Saints Diocesan Higher Secondary School, Shillong invites application from eligible candidates in the prescribed application form available in School office for its vacant Teaching Jobs. Essential Qualification:– Candidates must have passed B.A. in Hindi with B.Ed. Essential Qualification:– Candidates must have passed B.Sc (PCM) with B.Ed. Essential Qualification:- Candidates must have passed B.A. with B.Ed. Essential Qualification:- Candidates must have passed B.Sc. (Physical Science), Should have Biology as one of the subjects at the Higher Secondary level. Essential Qualification:- Candidates must have passed M.Com, preferably with B.Ed. Essential Qualification:- Candidates must have passed M.A. (Education), preferably with B.Ed. Interested and eligible candidates may collect the prescribed application form from School office from 18th January 2019 onwards on any working day. Dully field completed in all respect along with documents including age proof, a copy of mark sheets, Degrees etc and testimonials should reach the School office on or before 25th January 2019.